Austin Fashion Week Season 11 Kicks off This Week! Get ready for another season of amazing fashion from local and designers from abroad, networking and street style from Austin’s premier fashion event of the season! With a lineup of events, great sponsors, designers, hair and makeup artists, this will be yet another successful and full week of fashion presented by the Fashion X brand. Austin Fashion Week / Fashion X Matt Swinney and his creative team will take the event to a new venue this year. We will travel south on South Congress to the Austin Amerian Statesman event space Warehouse 305, located at 305 S. Congress. Starting February 15 with online buying running through February 24, you can SHOP FOR GOOD with partial proceeds to benefit The Kindness Campaign. In-store events, starts February 17 and you will be able to mix and mingle with locals, shop and enjoy sips and bites. View the list of participating brands below. Back again for Fashion Week are featured Austin Style Setters for each of the runway shows. Natasa Valocchi for Ballet Austin, JK Baxter Hunt for the Arc of the Capital Area and Lesa Rossick for Relay for Life. See All Shop For Good participants here! These local retailers will host in-store events! Hope to see you there! Lure by Y&F at 3800 North Lamar or online: Lure by Y&F. Join Lure by Y&F at an official Shop For Good shopping party on Tuesday, February 19 from 6pm – 8pm. 10% of all sales during the evening will benefit The Kindness Campaign. Sandro – Domain. Wednesday, February 20, 6 pm – 8 pm – Enjoy light bites sips and shop the Sandro Spring/Summer collection. A percentage of sales from the evening will be donated to The Kindness Campaign. Maje – Domain – Wednesday, February 20, 6 pm-8 pm. Enjoy light bites sips and shop the Sandro Spring/Summer collection. A percentage of sales from the evening will be donated to The Kindness Campaign. Theory – Domain NORTHSIDE – Sunday, February 17 – 11 am – 2 pm – Sip on bubbles and bites and shop the latest collections for Men & Women. Visit each event page as reservations are requested to attend. 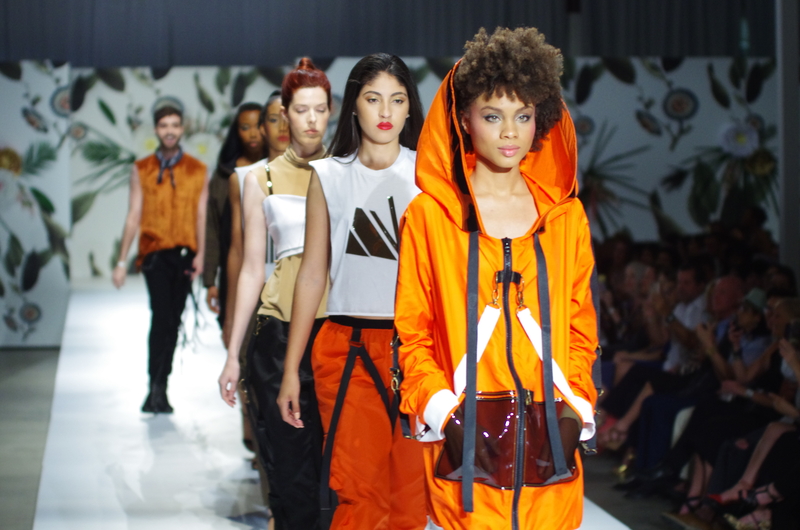 Thursday, February 21 – BERNINA Fashion Fund Showcase – See the new emerging designer get crowned with the grand prize winnings to include a fabulous prize from BERNINA but they will also continue a sponsored year-long presence at future Austin events. See the list of designers here! Friday, February 22 – Celebrate Texas! – There’s nothing better than to see work from your hometown or from our home state of Texas! Let ‘s celebrate these creative Texans as they grow their businesses. See the list of designers here! Saturday, February 23 – MODA X Austrailia – What a treat for all of us when we get to see collections from South Australia’s most prominent designers. You will also have the opportunity to meet and greet and attend panel discussions during Austin Fashion Week to understand the industry in Australia. Fashion X will also partner with Austin-based stores for trunk shows to give you first chance to purchase amazing garments from Down Under. 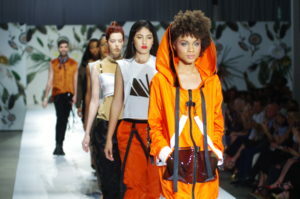 Here’s to another Austin Fashion Week and hope to see you all at the events and at the end of the runway! !